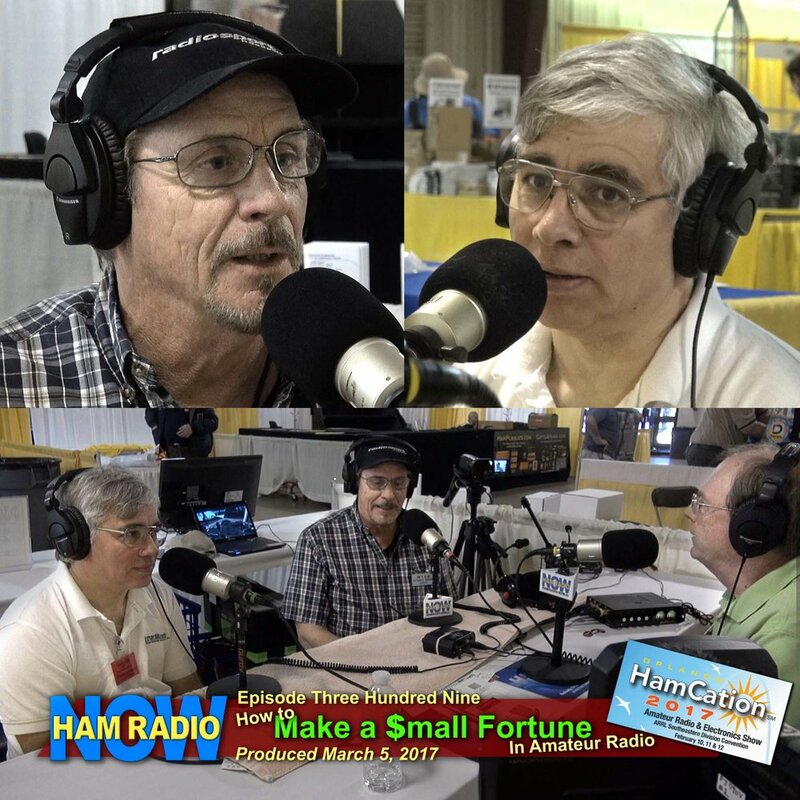 HamRadioNow had a booth in the 'high-priced' exhibitor area of the 2017 Orlando HamCation (thanks to the generosity of Chairman Peter Meijers... and a cancellation by another vendor... because I hadn't arranged for a booth this year). That's the area where they set up drapes behind and between the booths, supply AC power, and you're likely to be surrounded by truly 'commercial' vendors rather than flea-market bins. I set up the SIB (Studio in a Booth) there and recorded several interviews. I had one of those classy neighbors on either side: TuneMatic staffed by owner Jim Trapani KA2MBE on one side, and Arlan Communications which manufacturers RadioSport Headsets, staffed by Dave Bottom WI6R on the other. They both were doing brisk business throughout the fest, but things slowed down enough late on Sunday to bring them together for a conversation about small business in Amateur Radio. Both sell high-quality, somewhat expensive products (let's say they're more than an 'impulse buy' price), and I was a little surprised that neither had any complaints based on the general characterization of hams as 'cheap'. Their products sell well, with plenty of customers who appreciate the craftsmanship that goes into them. Dave said he has to put a cap on growth to avoid outstripping resources. Their stories lend an insight into the origin and operation of at least these two small ham radio businesses.